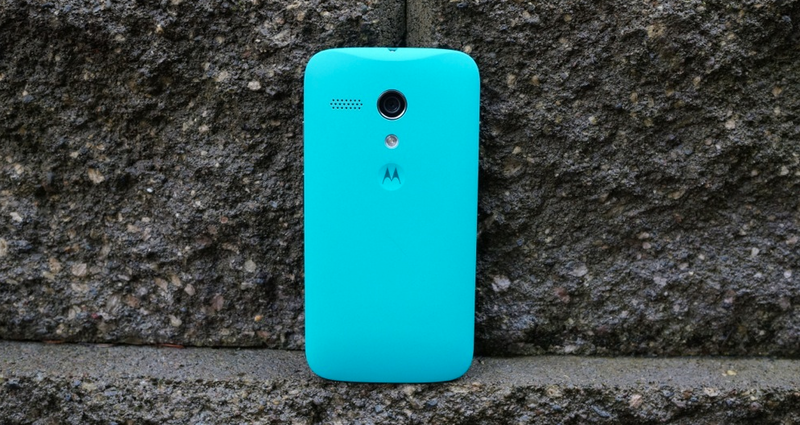 The Moto G from Verizon is receiving its update to Android 4.4.2 “Kit Kat” as you read this. 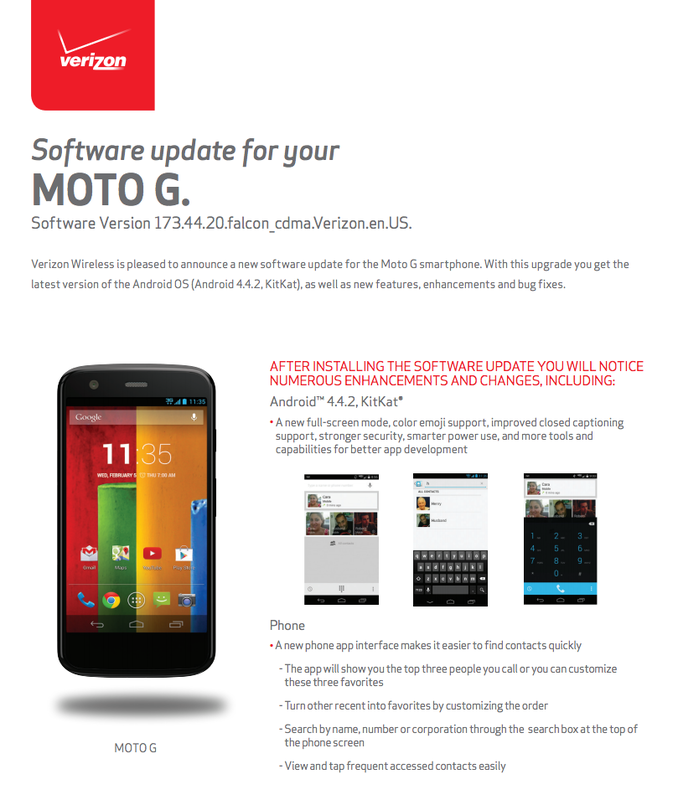 The update actually started rolling out yesterday, but Verizon just now published the support documents to show all that is involved. There aren’t any surprises, however, the update is pretty significant. 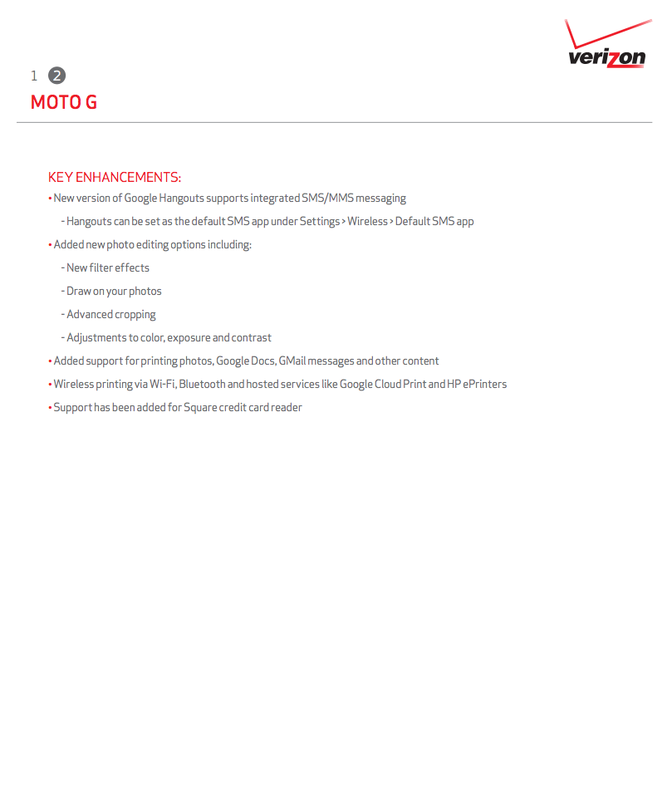 Once updated, you’ll find all sorts of goodies that were introduced by Google with Kit Kat. For example, full-screen “Immersive” mode is there, as is Hangouts as the default SMS app. You’ll also find a new dialer application, better photo editor, and cloud printing built into the OS. To see all that Kit Kat has to offer, be sure to check out our recap of Android 4.4.